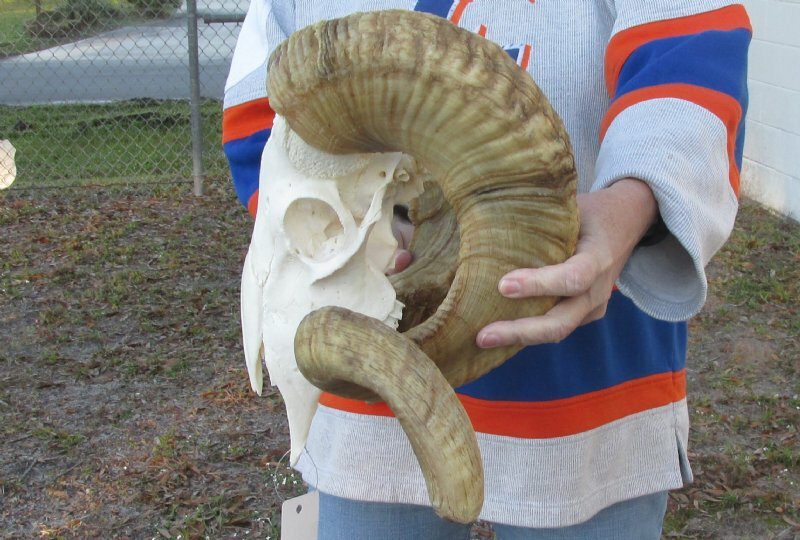 This is an sheep skull and horns, or ram skull and horns (Ovis aries). 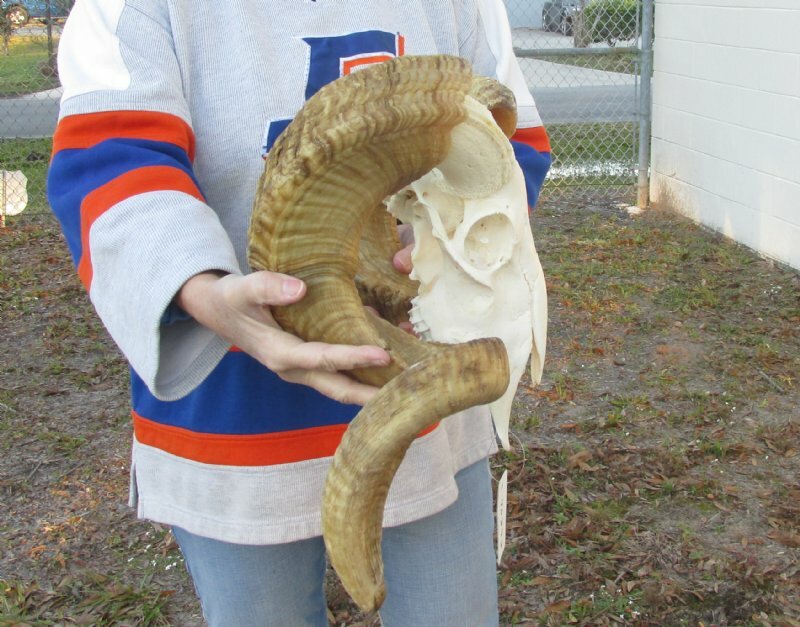 The sheep horns measure approximately 33 and 34 inches, measured around the curl of the horns. Missing teeth - Review all photos. 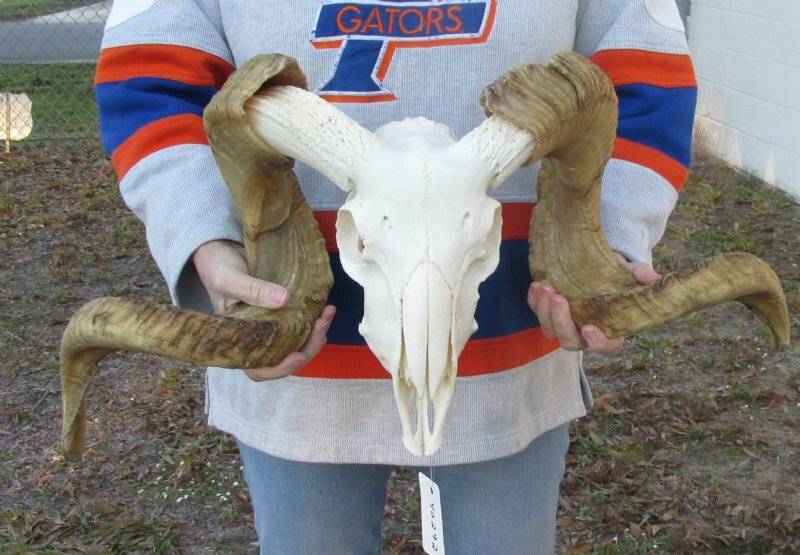 This sheep skull and horns is ready for display and would be perfect for rustic cabin decor or log cabin décor. 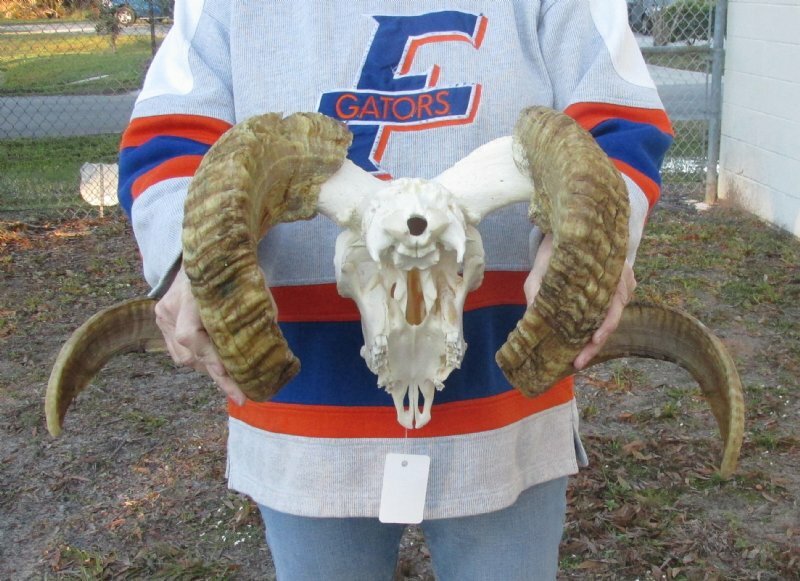 This sheep skull and horns, or ram skull and horns was imported from Africa and cleared for legal entry into the U.S. by the U.S. Fish and Wildlife Department and U.S. Customs Department. 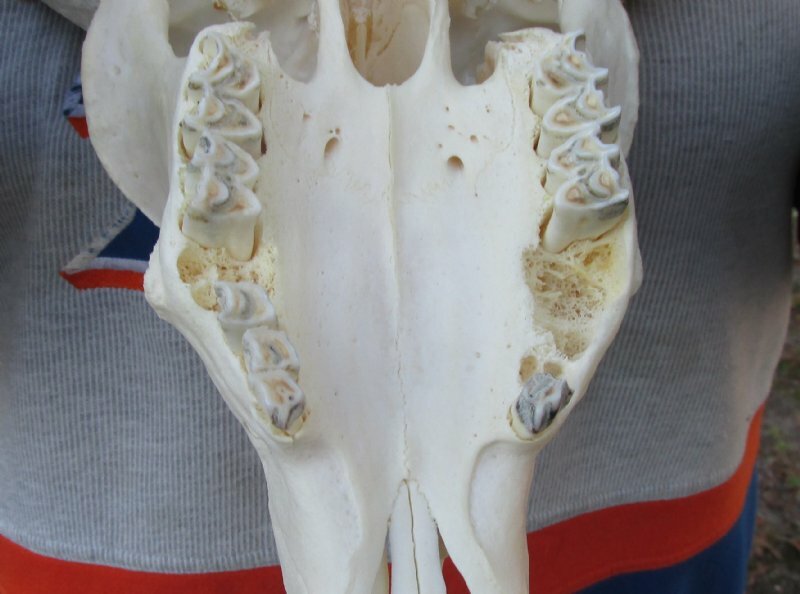 You are buying the sheep skull and horns pictured. This skull and horns will have imperfections!